The Goldfields and Agricultural Region Water Supply Scheme (GAWS) consists of 9,601 kilometres of water mains and services to more than 100,000 customers, farms, mines and other enterprises, and has been doing that for more than a century. 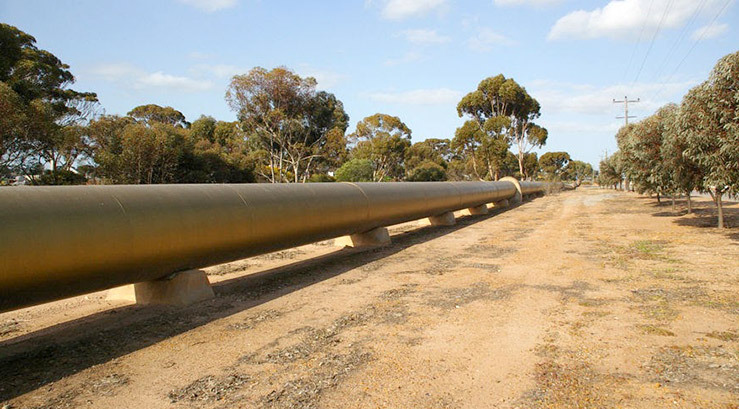 The main conduit remains one of the longest freshwater pipelines in the world. To keep the pipeline running, every year there is an extensive program of condition assessment: this informs an ongoing schedule of replacing and refurbishing sections of the pipeline. This program includes pump refurbishments, mechanical and civil maintenance covering three different districts. The focus is on both maintaining this scheme and supporting the expected population growth in the region into the future. The surface preparation is limited to high-pressure water washing, with no type of abrasive blasting permissible. A water-based coating is needed for on-site application in remote areas. Thermal insulation properties are required to ensure water in the pipeline remains within a certain temperature range. The preference is for coating that can be applied direct to substrate, without primers. Ceramiflex provides long term protection in the harshest of environments. Ceramiflex is a premium quality, water based elastomeric coating with thermal insulation properties. It has outstanding adhesion to a wide variety of substrates and the cured film provides excellent strength, durability and flexibility to the coating system. Our extreme climatic conditions have influenced the formulations and individual products that make up our water based range. 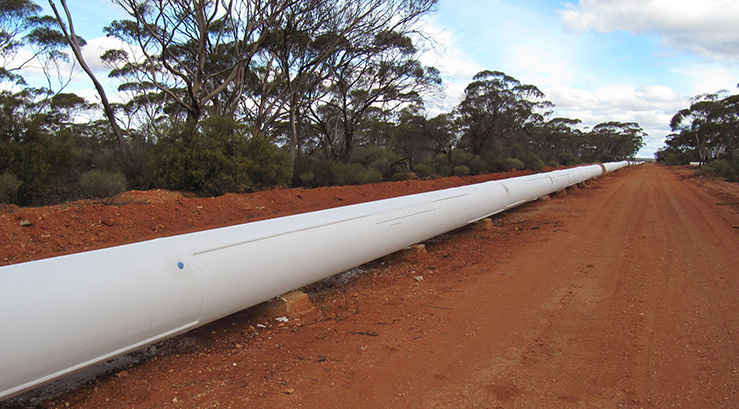 The coating system properties have been formulated through continual research and performance observation over many years of application on projects such as the Kalgoorlie pipeline. Benefiting many other projects with similar specialty application requirements, where it’s elongation and holdout to vapour and moisture are essential criteria.